Australia has an abundance of parkland that is both scenic and challenging for hiking, bushwalking, and of course, setting up camp. When venturing into these areas, it is important to keep in mind that many such natural areas in Australia are at risk of bush-fires, especially from late spring through summer. In very hot and dry conditions where there is an extreme fire danger, even the smallest spark can be the catalyst for a raging fire across the area (on this note, for more info and updates on weather and fire dangers, you should check out the Australian Government's Bureau of Meteorology). To minimise the risk of bush-fires, there are designated places where open-fires are permitted. However when a total fire-ban is enforced (in cases of extreme fire-danger weather), then no fires at all are to be lit. Image from: www.aussievault.com.au. Photo by David Cornford, NSW. Anyway, let me tell you about a handful of great camping spots that NSW has to offer, that have the added bonus of being allowed to light an open fire. After all, campfires (accompanied by guitars, and songs, and food like damper and marshmallows) are one of the most iconic elements of any camping trip. Tucked away in the NSW Southern highlands, this pet-friendly camp is ideal for people seeking the authentic kind of camping experience. The river and bushland surrounding this valley are perfect for you to enjoy all of the leisurely activities that are central to camping. Canoeing, swimming, fishing, bush-walking, mountain-biking, and more can be enjoyed in this natural oasis (of course you can also take the alternative of just lazing by this beautiful river). This camping site is also campervan-friendly so those of you who camp in this style, feel free to relax close to the comforts and conveniences of your mobile home. In general, campfires are allowed to be lit here no matter what time of year it is. This is an advantage of this location that is trying to be protected for future campers. It is also a good thing to know that in all 40 years of safe, permitted fires in this valley, there has never been a raging and dangerous fire as a result of campfires. Just make sure to follow the safe fire guidelines, such as not throwing bottles or rubbish in fires, and extinguishing fires only with water. A list of the things you should and should not do in terms of fires at Wollondilly can be found here. One night's stay here in this Goodman Ford's campsite will cost $4.00 per child and $10 per adult. In addition to open fire spaces, you will have showers, drinking water, toilets, reception, and pet-friendly facilities at your doorstep. In Nambucca Shire lies another gorgeous, fire-permitted place for camping. With the banks of the Warrell Creek running alongside, and ocean beaches close by, this spot is ideal for water-lovers. Canoeing, swimming and boating are the prime leisurely activities that you can enjoy here. Campervans are also permitted here and would be a very comfortable way to enjoy being by the water and in the midst of scenic natural surroundings. With a cost of about $12.00 a night, you will also have all the basic amenities provided - that being things like toilets, BBQs, picnic tables, toilets, and a boat ramp. Like with the Goodman Ford's campsite, just be sure to follow the fire restrictions and guidelines so that everyone can continue to enjoy the privilege of open fires here in Gumma. Fancy being secluded by serene green forest and parkland? If so, then Whian Whian State Conservation Area (behind Byron Bay and Bangalow) is somewhere you should consider camping. Again the area allows campervans and trailers so you can reside for however long you want in this tranquil space with all of your things and amenities right by your side. Not to worry though, despite being quite quaint there are established camping facilities onsite too. The cost of this campsite per night is $10.00 for adults and $5.00 for children. Rummery is open to the idea of open fires. They have fire rings where you can enjoy your own lit fires, just remember to bring your own firewood and be responsible. What else is there to do around here? 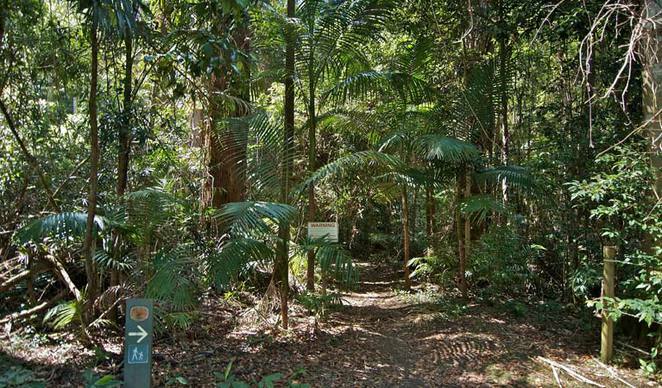 The Boggy Creek trail is a popular walk among campers in this area, and takes you on a scenic tour of the lush rainforest surrounding Rummery. There are pools and creeks for you to chill out by and swim in along the route, and you will be treated to the breathtaking scene of Minyon Falls. Watch the water plunge over cliffs, on a site that was once an active volcano. Boggy Creek trail. 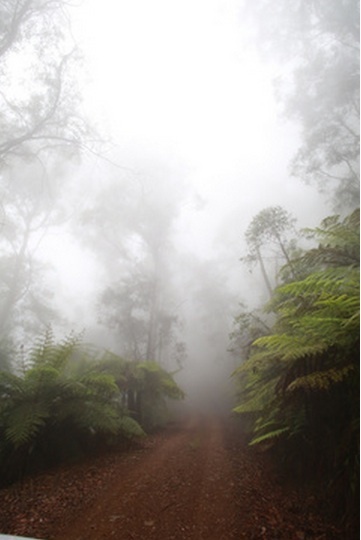 Image from: www.nationalparks.nsw.gov.au/whian-whian-state-conservation-area/boggy-creek-track/walking. For more info on Rummery Park Campgrounds and surrounding sites, check out this National Parks webpage. 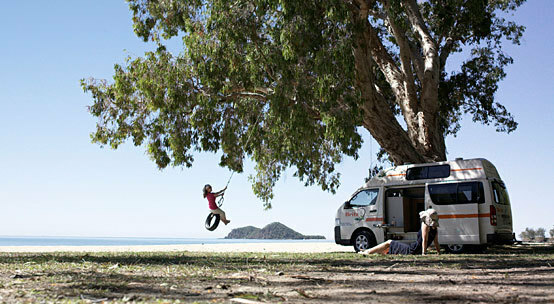 If you want a super simple getaway from the city, you should give Digadoo a go. It is a quiet and spacious property on the NSW South Coast. 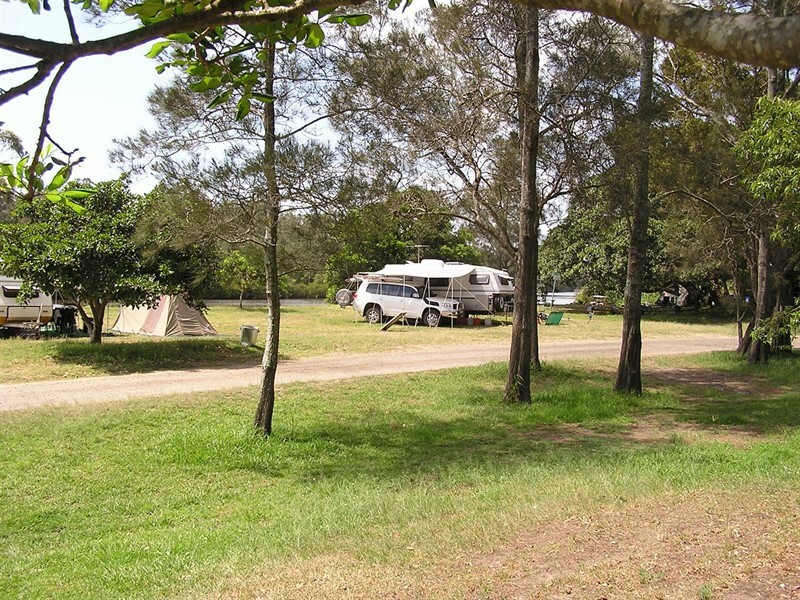 Just travel 400 metres off the Princes, along Dignams Creek Road, and you will reach this convenient campsite. There are plenty of places across the patches of grass for you to park a caravan or pitch a tent upon. For a mere $10 per night, this place is not only convenient but it is great for backpackers or anyone who is looking for a getaway on a budget. Campfires are indeed allowed here, so sitting around one in serenity lies among the things you can enjoy in Digadoo. This campsite has an exceptionally relaxed vibe and is perfect if you are looking for somewhere to totally unwind and refresh yourself. Why not take a dip or go for a quiet paddle along the creek that sits along the property? Another property that you can camp at and have to change ignite open fires at is Belowra Valley. It looks like more of an adventurous retreat to me, especially with these foggy mountains and rivers that you can cross in your exploration of the area. 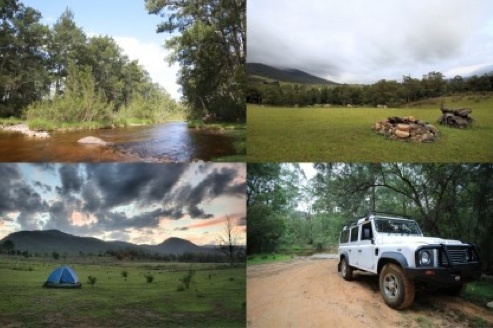 There is plenty to bush-walk, hike, mountain-bike, and even drive through in this area. As for staying here, from $35.00 a night (family rate), you can set up camp. The facilities include not only a campfire site but also the provision of firewood. Amenities also include drinking water and a central toilet block. 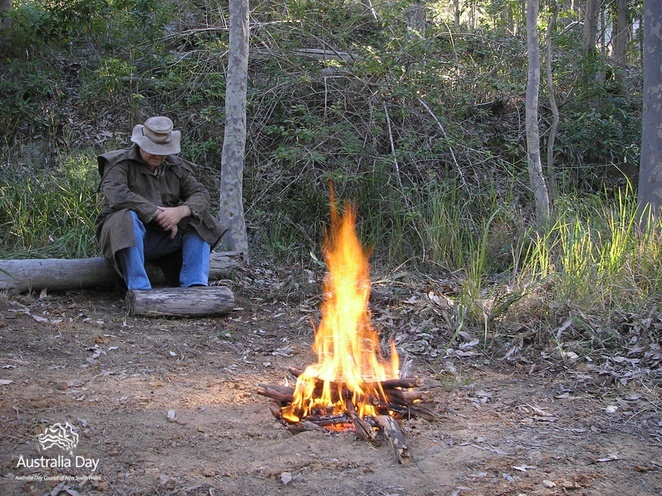 So here you have a handful of great campsites across NSW that allow you to enjoy a quintessential open-air fire. Remember to be responsible and follow any rules, regulations, guidelines, and authorities in regard to fires. It is important that there is continued protection of campers, the natural environment, and of course,the continued permission for future campers to enjoy fires just as we can now. Enjoy this unique experience that is sure to become one of the highlights of your camping sites. On an additional note, many of these campsites are welcoming to those who enjoy a budgeted, campervan-style trip. Where to begin when choosing a campervan? A good first port-of-call is Britz campervans. These guys have a large variety of vehicles for you to choose from - whether you are simply looking for an easy and mobile van to sleep your family (like the Voyager 4 Berth Campervan) or one that has everything you need and can serve you and the group pretty much like a home (the Frontier). Campervan companies such as Britz also appreciate that many campers are seeking an affordable sort of city-escape. For an idea of pricing, chartering a Britz van for about a week will start from around $570. Not too bad at all for a week away in natural NSW. Great article! It is often so hard to find camp sites that permit fires at all. Newnes in Wolgan Valley is another good one.